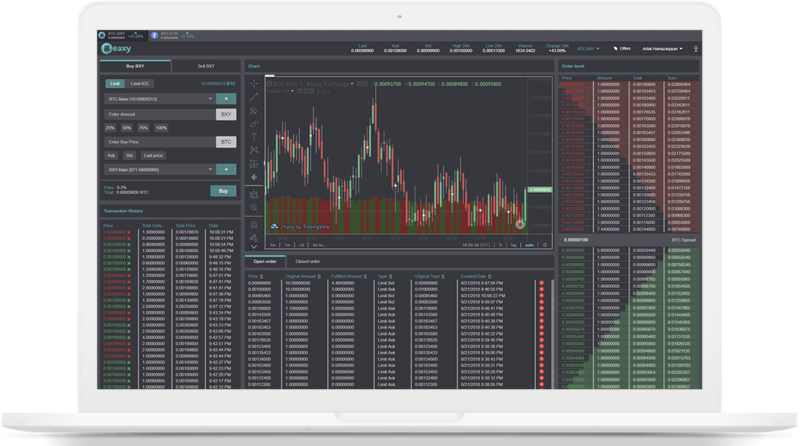 We were fortunate enough to be granted access to the demo trading platform over at Beaxy.com. Our first impression was very positive, and we're excited to share our findings below. Use the sign-up link below to get a free Platinum membership for 3 months! The Beaxy cryptocurrency exchange is easily one of the most user-friendly interfaces we have seen yet. With both a light and a dark theme available, the trading panel is easy on the eyes and presents information and execution panels in a clean and easy-to-read manner. The integrated price charts (provided by TradingView) are placed in the center of your browser, with the order panel and trade history on the left, while the right is reserved for the order book. At the top of the screen, you’ll find a quick summary of important information such as the bid/ask spread, percentage change and volume updated in real-time. Additional trading pairs are available through a handy drop-down menu which includes a search bar for ease-of-access. Orders are processed smoothly with no notable delay, though the system has yet to be put through the demanding requirements a live platform must be able to process. The security features built into the platform are quite impressive, with options available such as IP address whitelisting, two-factor authentication through Google, withdrawal address whitelisting and confirmation via email. They also track the date since your most recent password change, so that you can be sure to change it regularly. Emails can be generated for nearly any action if you so choose in order to provide peace of mind. 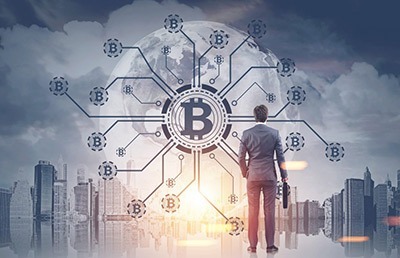 Each of these features may sound like common sense, but many exchanges currently offer only a few or are not able to be customized. Beaxy’s fees begin at a slightly higher rate than some of its competitors, at a rate of .16% of the notional value of your order. This can be reduced, however, using the exchange coin to pay for fees, which provides a 50% discount. You may also choose to lock your BXY tokens in a wallet, in order to receive additional discounts of up to 25% depending on the amount held. This has the potential to reduce your trading fees by up to 75% in total, leaving you with a rate of .12% in trading fees, which is quite competitive. Unlike Binance, Beaxy will not reduce the trading fee discount over time, meaning that you will not pay more the longer you use the exchange. PRO-TIP: Use our partner link to sign-up and receive 20% off fees for 3 months. This will save you a good chunk of change if you are an active trader. Beaxy also offers a referral program, which allows you to refer friends to the exchange and receive 10% of their trading fees for the lifetime of their account, which seems to be the standard rate across exchanges. Nonetheless, it is a welcome feature and should contribute to a quick growth of adoption and liquidity on the exchange. In their roadmap, Beaxy outlines a plan to bring over-the-counter market functionality as well as the ability to directly exchange fiat currency for your favorite coins. They also plan to add new tokens and coins on a regular basis in addition to the 24 trading pairs they will launch with. They will also be adding advanced order types as options, which is a feature that current exchanges are significantly lacking in. These will include the option to choose between trailing stops, “fill or kill” orders, orders which expire at a certain time and many others which traders with complex strategies will find incredibly welcome. Beaxy looks to be one of the most promising up-and-coming exchanges on the market, bringing many new features and a high-performance trading engine to market with a smooth user interface. If you’d like to get your hands on the invite-only demo, you can do so here. Already a Beaxy user? Let us know how you rate the new exchange below!